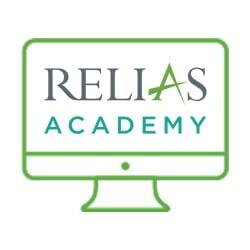 Relias Certified CMS Professional Program Part V is proudly presented to you by Relias Academy. Thank you. We hope that you enjoy your course. Description: All facilities accredited by TJC, AOA, CIHQ, and DNV Healthcare must adhere to the CMS CoPs. This 525-page manual contains interpretive guidelines, policies, procedures, and standards that must be followed for all providers treating patients in hospitals or any hospital-owned departments. Our Relias Certified CMS Professional Program will guide attendees through the entire CMS Hospital CoP manual and highlight major changes that impact hospitals. The program is divided into five parts with each part accompanied by an exam. After completing the program, attendees will receive a certification that they are a Certified CMS Professional (CCMSP). Part V of the series will cover infection control standards, discharge planning, surgical services, anesthesia services, outpatient services, emergency services, EMTALA, rehabilitation services, respiratory services, and organ, tissue, and eye procurement. Describe the CMS infection control policies. Summarize final changes to the discharge planning worksheet. Describe hospital requirements for an organ donation. In order to access the content, exam, and certificate click “My Courses” under “My Account” on the navigation bar.